Nowadays, in this growing technology, everything has an alternative. Similarly, if you love music and want to Play Piano but can’t afford it then you must try Piano App which works really great. So, here in this Article, I’m going to share 11 Best Piano App For Android – 2018. No Doubt we all love listening to Music on Best Music Player App with the headphone in the ears. It is scientifically proved that Listening Music is good to health and can help us to decrease stress. When it Comes to Music, there are many instruments using which Music can be Played. One of the instrument is Piano which enhances the Music Experience. Everyone cannot afford to Buy a Piano as it is very costly. But, if you really want to Learn & Play Piano, then you must check out these 11 Best Piano App For Android. Playing Piano is a dream of many people but everyone can’t afford it due to its price but using these Best Piano Apps will help you to Play your Favorite Song on Piano App. There are many tutorials available on Youtube where you can easily Play Youtube Videos & Learn Playing Piano for free. Using these Virtual Piano will make you feel that you are Playing a real Piano. These Piano Apps has much more features than a real Piano as it is a Virtual Piano and on your Smartphone. You can easily adjust your tones, settings, keyboard and much more. There are many Best Apps On Play Store using which you can easily Play your Favorite Music for Free. These Apps are Free of Cost and can be downloaded from Play Store For Free. Searching for Best Piano App on Play Store is a difficult task as there are many Piano Apps available on Play Store but you need to find the best one. So, to help you in this situation, I’m going to share you 5 Best Piano App For Android Smartphone. Also, if you have Touch Screen Windows Laptop, you can easily download Android Emulators & Use these Piano Apps to get the Best Experience of the App on the large screen. So, without wasting more time, let’s proceed further and check out 11 Best Piano Apps For Android. Magic Piano by Smule is one of the Best Piano App using which you can easily learn Playing Piano & Enjoy your favorite Music. It has over 50,000 songs collections which you can Play & Learn Piano. Play your favorite Song & you will get your points in XP which will show your improvements. It has many features where you can Create Music With Composer, Master Your Favorite Songs, Adjustable Difficulty Level & Much More. Perfect Piano is another Popular & Best Piano App For Android Phone. As the name suggests, it is the Perfect Piano to Learn & Play Piano. With the help of this Piano App, you can do many things like Play Together with your Friend on same Pad, Chat With Your Friends, Compete with your Friends Online, etc. Waterfall helps you to easily show melody and rhythm and with the help of that, you can easily Play Piano without any difficulty. Single-Row Mode, Double-Row Mode, etc. Walk Band is a Virtual Musical Instruments which has many instruments like Piano, Drum Kit, Drum Machine, Guitar, Bass, Multi-tracks, etc. You can easily Play, Record, Sing, etc. with the help of this App. You can also Control the number of keys to be displayed on your screen. Apart from Piano, if you are looking for any other instruments to Play on your Android Phone, then you must try this App as it has many Instruments in it. Multiple Keyboard Sounds which includes Piano, Organ, Music Box, Synth, etc. Pianist HD : Piano + is another Popular & Best Free Piano App For Android To Play & Learn Piano at Home for Free Of Cost. It has 128 musical MIDI instruments and over 12 studio-quality, sampled voices. Also, there are over 50,000 Songs which you can Play on Piano App. This App has 26 High-Quality Sounds & Over 100 Instruments. Record Your Songs & Share your performance with your friends. 128 Musical MIDI Instruments & Over 12 Studio-Quality. “Piano-Free Keyboard with Magic Tiles Music Games” is another Best Free Piano App which will help you to Learn & Play Piano. Unlike Other Piano Apps, this App also has many Popular Instruments which can be played and learned easily. Learn Piano by Playing Cool Games. It also has Magic Tiles and Magic Keys Mini Games. Similar to Other Apps, it also has a Record & Share feature where you can easily Record & Share your Music with your Friends. Includes Instruments Like Piano, Grand Piano, Accordion, Organ, Harpsichord, Electric Guitar, etc. Piano Tiles 2 is one of the most popular and Best Free Piano Tuner App For Android. Basically, this is a Piano Game App that can be played in free time. This game will be loved by music lover as this is a 2 in 1 App. You can Play Piano Tiles Game by Tapping on the Black Tiles that will produce Piano Sound. Moreover, it comes with many features including Challange Mode, Easy to Play, Save your Progress, Share your Progress, Different Slider Tiles, etc. Another simple yet powerful tool in the list is My Piano App. 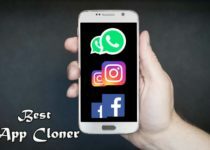 This App comes with a simple look but has tons of features in it and also a popular app that is used by millions of people. This is the All-In-One Instrument App that not only comes with Piano but also comes with many other instruments including Guitar, Piano, S-bass, Organ, Saxophone, E-Piano, etc. Additionally, it has many other features including 11 Instruments, Sample Recording, 8 Sound Effects, Sensor Pitch Bend, 16 Notes Polyphony, HD Graphics, Studio Quality Sound, Multi-Touch, etc. Real Piano perfectly matches with its name and it has many features in it. The Piano Learning App is quite popular and comes with tons of features in it. If you love listening to Music, Download Music or Playing Music, then this is one of the Best Music Instrument App for you. If you learn Playing this Piano App, you can play every song in the App. Talking about its features it comes with 88 Keys, A Complete Keyboard, Multi-touch, Studio Audio Quality, Record Mode, Adjustable Piano Size and many other features. Piano Magic Tiles is basically a Piano Game and bit different than any other Piano App. Though you cannot learn Piano with this App, still you can Enjoy Playing this Piano Game. This Piano Game is very simple and easy to Play, you simply have to Tap on the Black Tiles or say Piano Keys to feel the rhythm and chords. You can play any song from the list and start playing this Game. Also, you can challenge players from across the world. Overall, this is one of the Best Piano Playing Game or Piano Keyboard Game for Android. If you are looking for a Cool Piano Game, here is Piano Solo for you. This Game is similar to the above Piano Magic Tiles Games. Here, you have to select the song and match the rhythm by playing the game. Simply, tap on the moving tiles to score your points. More you score, faster the tiles will be. 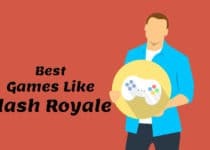 If you are a music lover then this will be the Best game for you. You can easily play this game in your free time and enjoy music as well. As the name suggests, it is a Professional Piano & DJ Mixer App where you can Learn Playing Piano and Adjust your Music with DJ Mixer. In this Piano App, you can adjust almost everything like Volume, Sound, Rhythm, Mixer and Piano Theme. The App is specially designed for beginners and it’s the Best Piano App For Beginners. Furthermore, it comes with 6 Sets of 10 loops sound, 15 pads electro, 8 drum pads, 4 different color themes, Multi-Touch function, DJ Mixer, etc. These were the 5 Best Piano Apps For Android. Though there are many Best Piano Apps On Play Store or Play Store Alternative, I’ve shared the 5 Best Best Piano Apps For You. Select Your Favorite Piano Apps according to your needs & Start Playing Piano. Also, there are many Karaoke Apps similar to Piano Apps where you can sing your favorite song and Record it. 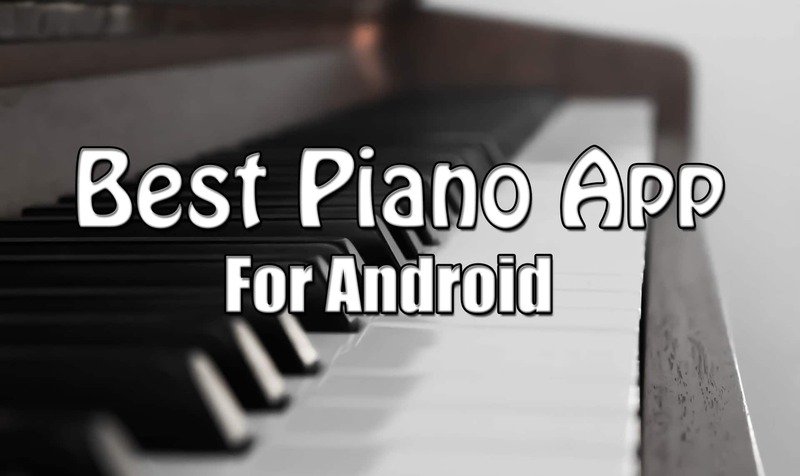 Hope you liked this Article On Best Piano App For Android. Do Comment below if you have any query. Stay tuned with us for more latest Tricks & Updates.